2014 has been a wild ride. Most certainly for you too, with the growth of your ecommerce store. Here we’ll take a look at some of the most interesting data from 2014, see how it went, and what we can learn for the next year. We started out the year with around 800 registered users on Printful. We’re ending it with over 14,000. What does this mean? You’re on the right track. E-commerce is on the rise so high-five for spotting the opportunity on time! What does this mean? If your products cost less, then you can take advantage of people’s readiness to spend about 35 bucks at your store, and offer them “related” products. The month with the highest order value is January, with an average of $42.93. We can learn that though January is usually a slump month, people are still willing to buy those things that they didn’t receive for Christmas, so pay special attention! What does that mean? These are the countries you should be marketing towards, the data implies that the inhabitants of these countries are more ready to buy online. This is our top seller for several reasons. As an American Apparel garment, it’s made in the USA, sweat-shop free (which is important for many stores). It’s also available in many sizes and colors. Enough to clothe the population of Greenland, or to fill the Commonwealth Stadium in Edmondon, Canada. That’s enough to completely wallpaper the outside of the Empire State Building. Our average shipping time is 2.7 days. That means we get an order shipped within 2.7 business days of it coming in. Yes, we’re that fast. To efficiently manage the high influx of orders and keep bootstrapped as long as possible, we try to optimize every element of the printing process. That means having the best machines, nicely labeled bins, and also, an excellent pick-up process. At first we built custom iPod apps that meant that we didn’t have to run back to the computer to check each product that had to be picked up (item, brand, color, size). When Google Glass came out, we used the opportunity to make the pickup process even easier. By using Glass to pickup items, it frees up both hands, keeps things a little safer, and lets you carry more items. We made a Google Glass app in one day, and this is what came out of it. Credit card fraud is a very real problem in the ecommerce industry. Printful caught 96 fraudsters this year, who had tried to steal more than $200,000 worth in items. Luckily, we caught the majority of them. What does this mean? Your ecommerce store is at risk, too! Keep an eye out for suspicious orders and potential fraudsters. We use Sift Science and MinFraud to catch potential fraud. We’ll send you notifications if we detect suspicious activity in your transactions. It’s no secret that not every print comes out perfect. Sometimes there’s a paper jam, a wrinkle, whatever may be. We’ve reprinted over $68,000 worth of items that didn’t manage to go through our quality control. What does this mean? You can rest assured that your customers will receive top-notch items. We’re not cheap, we won’t send you a sub-par item. From Thanksgiving Thursday to Cyber Monday, these 5 days are hands down the most busy for the ecommerce industry. This year, according to Printful data, stores received on average 3x more orders on one of the Cyber 5 days than on any other day of the year. Of all the cyber 5, the most orders BY FAR is Cyber Monday. Compared to the previous year, when Cyber Monday only had a few more purchases than the other days, this year it had significantly more, which shows us that ecommerce is on the rise (totally in accordance with all the other industry data that exists). Lesson for next year: taking advantage of cyber 5 deals is a must if you want to triple your orders. Make a big Cyber Monday push, because people are willing to buy. We’ve written and published 24 blog posts this year. Turns out blogging is a great way to rank in Google, reach new customers, and in turn receive new customers. Our blog is actually the top referrer we have that sends people to the Printful website, besides Google searches. What this means for you: do you have a blog on your store? Maybe you should consider making one. The evidence is undeniable – blogging helps business. Here are some more reasons, if you’re not convinced. And the Shopify blog also has great articles on marketing your ecommerce store. The articles are incredibly valuable even if you’re not on the Shopify platform. And if you want to join the platform, make use of the 30-day free trial available here. 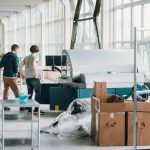 To keep up with your growth in orders, every month we’re hiring even more employees to help with printing. 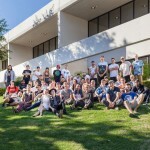 Know anyone who’d be interested in working at the Printful HQ? We’re hiring. Tell us about your 2014 in the comments – what are you most proud of? What did you learn? Hey Nikks, thanks for posting! Which t-shirt options are you looking for? We frequently update our product catalogue to include most asked for products, so you never know what’s right around the corner! Awesome year! Congrats to your team! Just like Nikks that want more tees, We would love at quinoa Apparel to see more Organic options ! Alternative Apparel is great and they have hoodies too 🙂 There are others brand that also do cheaper organic while having good quality! And last thing for 2015, please add cheapest rate for canada shipping ! All over the world, it’s 3-4$ if you choose 10-15 days delivery, but in Canada this option is not here 🙁 Might be good to add this option. You know what would be amazing? Cheaper European shipping because your Latvian office could also do European printing… is that possible :)? Hey David, that’s totally on our radar, we hope that one day we’ll be able to announce a European printing location in addition to our US printing space! It would mean a big change, though – non-European stores would have to learn how to charge VAT to their Europe-bound orders. that would be great! Waiting for it with open arms. Awesome guys, I switched with you in December of 2014 and everything has been GREAT so far, I’ve even set up an API. Please come out with sublimation sweatshirts! Right now I get them from a manufacturer but I’d love to get them from the USA and support you guys as well. I just started using Printful a month ago, and it’s been fantastic thus far. As somebody who uses wordpress for everything this makes life a lot easier. I really hope they add more sublimation products in the coming months, like hoodies or baseball tees. What are the chances of adding a Canadian based warehouse that could ship to us Canadian clientele? The high price of shipping leaves very little profit for us Canadian small biz owners if we want to stay competitive. 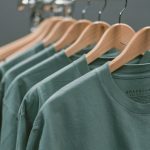 Few people are going to pay $35 to $40 for one t-shirt, no matter how great the design, just so the Canadian biz owner can make a decent profit. Would be so great to see a Canadian based Printful dropship office. Might be something to think about! I really love your website.. Great colors & theme. Did you develop this site yourself? Please reply back as I’m wanting to create my own blog and would like to know where you got this from or just what the theme is named. Thank you! Thanks! It’s a WordPress blog, and I believe it’s a custom theme.